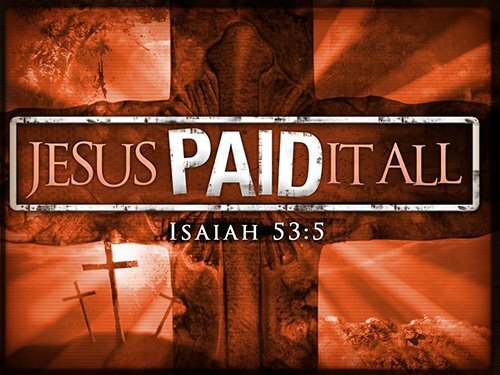 If Jesus paid it all, what else is there for me to do? Once we got into the “Teach” book, we only got through two paragraphs in chapter two before we spent the rest of our time discussing a completely unrelated topic. The first two paragraphs discuss receiving a gift from a friend and being grateful for it. The Bible is likened to a gift from God. The second paragraph speaks about some reasons why the Bible is an exciting gift, but it doesn’t mention a reason I believe is extremely important. Whenever you see a glaring omission like this, take advantage of it. KW: I would say that the Bible is an exciting gift from God in a way different than how it was explained here. I think it is interesting that it doesn’t say anything about forgiveness of sin and how to be right with God. That is what makes it exciting to me. By personalizing the answer, my Witness friend understands my heart and what is important to me. He also comes to realize that my answer is much better than what is taught in a book that is considered, “spiritual food at the proper time.” How can someone like me, a person who is not in “Jehovah’s organization,” give an answer better than the one provided for me by the “Faithful and Discreet Slave?” My friend’s eyes were wide with shock as he realized the oversight of not mentioning the importance of forgiveness of sin. I did not expect what happened next. I assumed he would agree with my observation and then we would move on into the chapter. Instead he started talking about repentance and how we are forgiven. I was hoping that because today was the 12th anniversary of 9/11, perhaps we could talk a little about that. Jehovah’s Witnesses are always up for discussion about the evils of war and how they alone are the only neutral religion and do not send their members to war to fight each other. I even wore a patriotic shirt to hopefully get the ball rolling. Even though I had plans of talking about one thing, I know that I need to be open to the leading of the Holy Spirit and follow Him. God had completely different ideas evidenced by the fact that my friend wanted to talk about the gospel. He kept talking about how God wants to see signs of repentance. JW: We need to turn our life around in order to draw close to God. If someone wants to obtain forgiveness, but they are doing things which does not please God, how can we expect to be forgiven if we don’t stop those things? There needs to be a reason for God to forgive you. KW: (I repeated his last sentence for emphasis) “There needs to be a reason for God to forgive me,” and I give Him that reason? JW: Based on whether or not you are ready to do His will and draw close to him, then He will draw close to you. How do we show that we draw close to Him? KW: So it starts with me then. Is that what you are saying? JW: He stretches out His hand. He has already provided for us by the ransom sacrifice of Jesus. That is for everybody, but some action is required on your part. Some people think that all they need to do is believe in Jesus, but the Bible says, “faith without actions is dead.” He wants to see if we can bring our lives into harmony with the Scriptures as best as we can. We can’t be perfect, He knows that. But that is why Jesus died for us. I felt like I was talking to a Mormon. I have extensive experience in talking with Mormons about what I call, “The Impossible Gospel of Mormonism.” Basically it is the idea that God will forgive us after we have repented and repentance is defined in part by completely forsaking our sins, never to repeat them. Mormons believe two opposite things at the same time, first that we must repent of our sins (stop doing them) before we can be forgiven and second that God will forgive us when we don’t fully repent because no one is perfect. If you want to see a number of presentations I have done on this topic, follow this link to our “Impossible Gospel” playlist on our YouTube channel. Back to my Witness friend. KW: It sounds like I have to be perfect, but I can’t be perfect and He knows that so exactly how perfect do I have to be? JW: The best you can. KW: I never do the best I can. KW: Seriously! You know this about me. I am incredibly honest about my sin. I never do all I can do. JW: Let’s just trust that God knows you better than you know yourself. 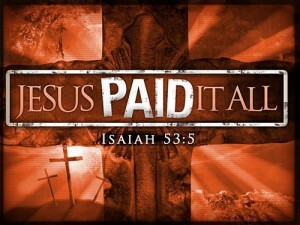 Jesus paid the ransom so that we could have a relationship with God. He just wants to see us try to apply His will in our lives. We’re never going to be perfect. KW: Then how would you ever know if you were right with God? How could you ever have peace with God? JW: Because of Jesus’ sacrifice. He died for our sins, but there needs to be a balance. The Bible mentions that we have to repent. KW: What does it mean to repent? JW: To acknowledge that we did something wrong and prove it by not doing it again. KW: I’m still fuzzy on what that would look like personally. I want to know exactly how much I need to clean up my life before God will accept me. If it is based on the sacrifice of Jesus, then I don’t understand what it has to do with me cleaning up my life. Those are two different things. JW: If you want God to forgive your sins, then you need to do your part to clean up your life. KW: So how do you know if you are ever forgiven? JW: Well… uh. Let me do some research. The question was uncomfortable for him. He started giving Old Testament examples about how God continued to forgive the Nation of Israel after they repented. The point he was trying to make was that forgiveness was conditional upon our obedience. He spoke about the sacrificial system and how it was never meant to cover all of our sins, but the sacrifice of Jesus did. KW: So are all of my sins covered or not? It sounds like my sins are covered only if I keep the commandments. KW: But I don’t keep the commandments. JW: Then you are not covered. KW: Okay, do you keep the commandments? JW: I’m trying and I know you are trying too. KW: Trying and succeeding are two different things. JW: God isn’t going to accept me if I decide that I can do whatever I want and not even try to keep the commandments. KW: It sounds to me like I really don’t need to keep the commandments. I only need to try to keep them. (Did I mention that it felt like I was talking to a Mormon?) I want to know exactly what is expected of me. Either I keep the commandments or I only need to try. If I only need to try, then how much is good enough? JW: You only need to do the best you can. He can look into your heart. (Did I mention that it felt like I was talking to a Mormon?) I can’t point to a line and say, “This is enough.” Only God knows that. KW: Then I don’t have any assurance. How can I ever know if I am acceptable to God? We often lie to ourselves and if I think I am doing my best, but God knows I’m not, I’m sunk. My friend was stuck. He kept trying to go to Bible passages and give examples to back up his position, but everything he mentioned just worked against him. If God withholds forgiveness based upon my ability to keep the commandments, then what does that mean when we purposefully sin? Jehovah’s Witnesses are like Mormons in that they have a low view of sin and a high view of their own self-righteousness. This leads to a very judgmental attitude towards others. They condemn others who sin, but make excuses for their own. Being brutally honest about my sin makes them uncomfortable and hopefully gets them to think about their sin in similar fashion. Deep down they know they are not doing their best. By admitting that I sin, and willfully so, it makes it easier for them to be honest about their sin too. KW: Why did Jesus say we are to keep His commandments? JW: Because he conveyed God’s commandments. KW: He doesn’t call them God’s commandments. My friend brought up other verses where Jesus said similar things. I didn’t want to get too deep into this rabbit trail, but I did want to plant the seed for further conversations that Jesus said a lot of things that would be arrogant for a human being to say unless He was more than just a man. We didn’t spend much time on this thought. My friend went right back to talking about commandment keeping. KW: I understand that. But when we say we need to keep commandments, I want to know which ones, obviously all of them. When I think about how often, obviously it is all the time. When you put that together, if I have to keep all the commandments all of the time or I am not forgiven, then who is ever going to be forgiven? JW: We need to try to do our best. KW: So if I don’t do my best, does God take away the safety net? JW: What is your best? KW: That is what concerns me, I don’t do my best. I never do. Never. KW: But how do I know if I am in the gray area? God takes sin much more seriously than we do. The Bible says that if I have committed one sin, I am just as guilty as if I broke all of God’s commandments. If I need to please God by living a certain way, then I want to know when I am pleasing to Him and when I am not. If I am not pleasing to God every time I sin, then I am sunk. Does God take away the safety net when I sin? How good to I have to be to have the net? Here is some irony for you in regards to the safety net. If I do my best, then I don’t need the net. I only need it when I fail. But if I fail, I am not pleasing God and do not deserve the safety net. JW: The artist who died probably thought she was doing her best. KW: OK. If I think I am doing my best and I am not, then I have deceived myself into thinking I did my best when I didn’t. How can I ever have peace with God if I think I am doing my best, but I really am not? JW: Forgiveness is a pretty complex subject. Yes, Jesus died for us, but does it mean we don’t have to do anything about it? No. Our sins are covered, but he wants something in exchange. KW: If that is what he requires of me and I am not doing it, how can I ever know if I have Jehovah’s approval if I can deceive myself into thinking I’m doing my best? KW: Then how can you know if you are acceptable to Him? JW: Well, we cannot earn our approval from God. KW: That sounds exactly what you are talking about. JW: Paul talks about undeserved kindness. We don’t deserve to have a relationship with God. KW: So I either have a relationship with God or I don’t. JW: That is based on Jesus sacrifice. We can have a relationship with God. KW: But that is only if I do what He says. KW: Then it is based on me earning it. JW: It is undeserved no matter what. KW: Well, now I’m really confused. Am I forgiven before I keep the commandments or after? If I am only forgiven after I keep the commandments, then it would apply to every commandment and no one would be forgiven because I am going to sin until the day I die. God tells us to keep the commandments for one reason; because I am not. If God withholds forgiveness until I keep the commandments, then I am sunk. JW: I am going to have to do more research and then we can pick up where we left off next time. Our meeting was a good one, but was a bit different than some of our other ones because of the two different topics. I am not sure what our next meeting holds. He could go back to talking about the Name of God again once he realizes that out of the 5,700 New Testament manuscripts which exist, the Tetragrammaton never appears in a single one. We could also talk more about forgiveness of sin and how it is obtained. It is important to note that not once did I tell him he was wrong for believing what he believes or even try to correct his view of how we are forgiven. It is much more effective if he comes to that realization himself. Once he understands that forgiveness is impossible in the Watchtower system, then hopefully he will be interested in what I believe and why. If I push that on him before he is ready, I could lose him. I am waiting for a receptive heart before I cast my pearls. Did I mention that I felt like I was talking with a Mormon? I love reading this conversation and am praying for God to guide you more. I once was a Jehovah’s Witness. I sure wish I had the elegance of conversation as you do. This is what I tell many people who ask about the JW’s. You have to draw truth out of them for them to hear. Thanks for your prayers and compliments. Trust me, I’ve made some mistakes in my conversations with JWs and Mormons. What I do comes from almost 25 years of experience and being sensitive to the Holy Spirit. I like what you said about drawing truth out of them. Great job, Keith! It seems to me wise to try to get him to resume this because it goes to the heart of the gospel message. You might also mention Jesus’ comments about his “easy yoke” and “light burden” and giving us “rest.” What did He mean by that? If the JW is right, the burden is incredibly heavy trying always to do your best and fearing deep down that it isn’t enough. At some point, we need to acknowledge that works do have a role in the Christian life but they are works of salvation not works for salvation. Ephesians 2:8-10 is one of the best passages for this, I think. Thanks for your suggestions. If I can work them into our conversation naturally, I will. Excellent conversation. When you said: “Jehovah’s Witnesses are like Mormons in that they have a low view of sin and a high view of their own self-righteousness. This leads to a very judgmental attitude towards others. They condemn others who sin, but make excuses for their own.” — You know, that is absolutely, 100% right on target. I can honestly say that is how I once thought. Until the day the Lord opened my eyes to realize that it’s all Him..nothing of me, I had a hard being more accepting of sin in others. Keith, how I wish I had your ability to reach out to these folks. God Bless. Thanks! God can use you too! Yes, we get that you feel like you’re talking to a Mormon. Your argument is also not Bible-based. Hebrews 10:26 says that if you practice sin WILLFULLY after having learned about sin, there is no sacrifice for you. Acts 26:20 mentions WORKS or acts that show repentance. Acts 3:19 says to repent and TURN AROUND. The scriptures always emphasize the need to stop sinning to be able to count on Jesus’ sacrifice. Yes, your behavior does have a lot to do with whether or not Jesus’ sacrifice will count for you. That’s what the bible says, not me. Does everyone get forgiveness? Of course not, that’s why Revelations mentions so many who are cast into the lake of fire. Jesus’ sacrifice is not all-encompassing and automatic. Here’s an illustration. A man cheats on his wife, and says he’s sorry. But he still maintains contact with his mistress and continues to go to bars or do whatever it was that led him into sin in the first place. He cheat again, says he’s sorry again, but keeps up with the same behavior. Would you say he’s really repentant of his acts? If he was, he wouldn’t keep in touch with the other woman and wouldn’t keep falling into bed with her. If he was truly sorry he would act according to that claim by not talking to her, by walking away from temptation, etc. He doesn’t act sorry, so he’s obviously not repentant. How often does he need to cheat (sin) before it’s obvious that he’s not really sorry? The wife may have every reason to withhold forgiveness from him because of his actions AFTER the sin. He can’t argue “so you’re saying I need to be perfect for you to forgive me?” Perfection isn’t expected, but honest and sincere works showing that you have a real desire to sin no longer is. Two questions. First, are you saying you never willfully sin? Second, are you suggesting that it is impossible to know if we have eternal life now? Actually three questions. Third, why would it be presumptuous to claim to have Jesus’ approval and the forgiveness of your sins?